Does your team need help? Bill can help with specific skills or help you focus on your process, teamwork or even marketing. He's well-respected in the improv community. Bill Chott was voted "Best Improv Coach 2012" at the Inny Awards. Kids know him as "Mr. Laritate" from his four seasons on Disney's Emmy-winning Wizards of Waverly Place. He starred as "Thomas" in the Farrelly Bros. top ten film The Ringer, and appeared opposite Johnny Depp in The Rum Diary. He also makes cameo appearances in the films Galaxy Quest and Dude Where's My Car? His television credits include performing and and writing on The Dana Carvey Show, and voicing the popular "X-Presidents" and "Ambiguously Gay Duo" cartoons on Saturday Night Live. For more on his credits, click HERE. Email info@theimprovtrick.com for coaching info. Bill as "Thomas" in the Johnny Knoxville/Farrelly Bros. film The Ringer. Mr. Laritate as a "hippie" with Selena Gomez on Wizards of Waverly Place. 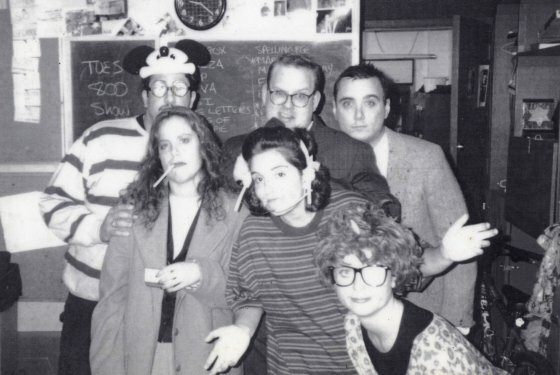 Bill started improvising in 1990, and then moved to Chicago to study at The Second City. He played at Comedy Sportz, Improv Olympic (now iO) and toured nationally in The Second City with a cast of comedy heavyweights like Tina Fey and Amy Poehler. He appeared in the original cast of iO's The Armando Diaz Experience. He was discovered performing in the groundbreaking revue Pinata Full of Bees at The Second City and hired to perform with fellow Second City Alums Stephen Colbert and Steve Carrell in The Dana Carvey Show. While in New York, he appeared in the first A.S.S.S.C.A.T. 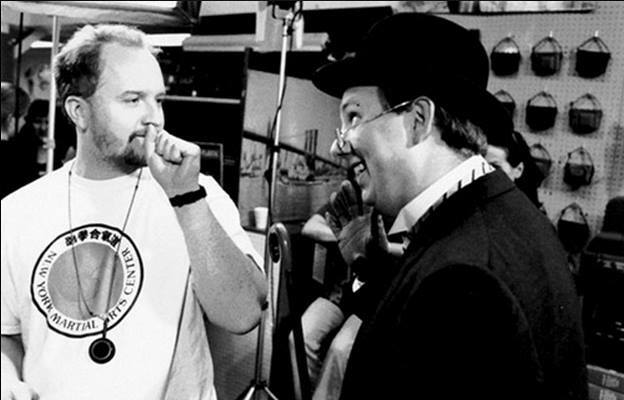 shows at The Upright Citizen's Brigade Theater, and worked with Louis C.K. in his early film work.